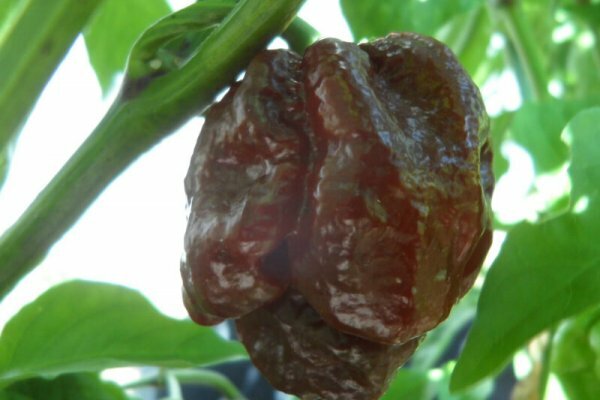 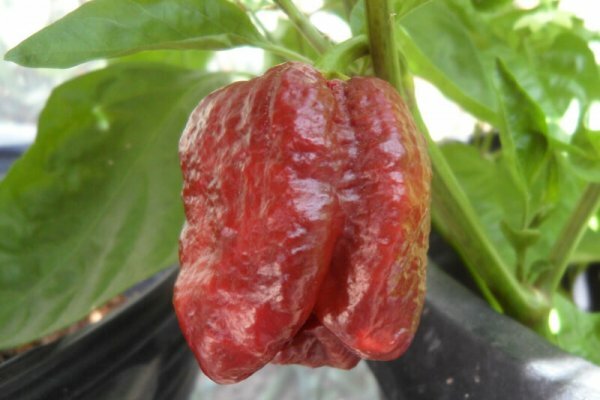 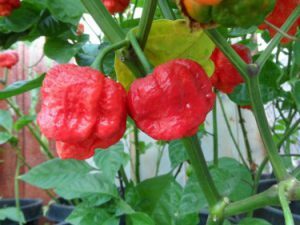 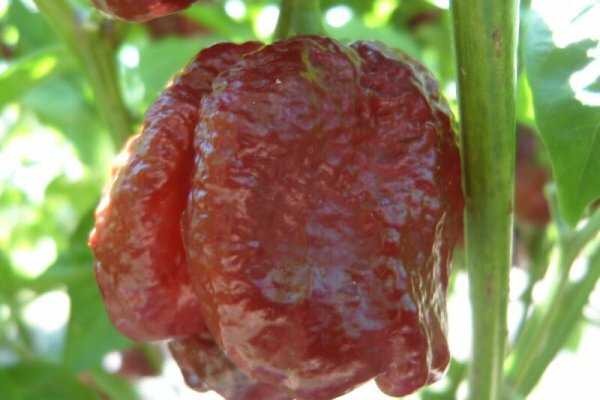 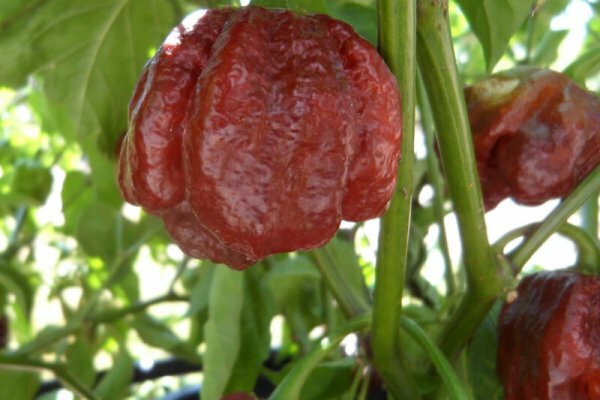 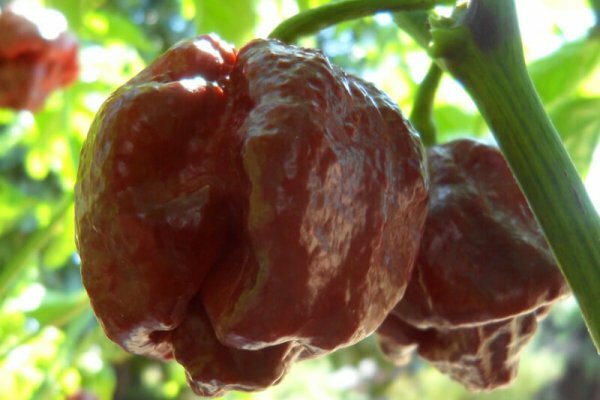 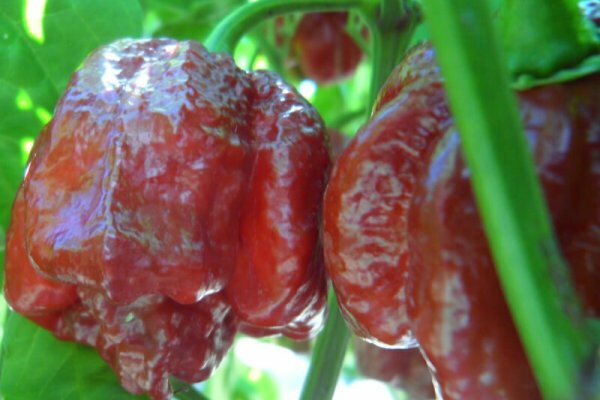 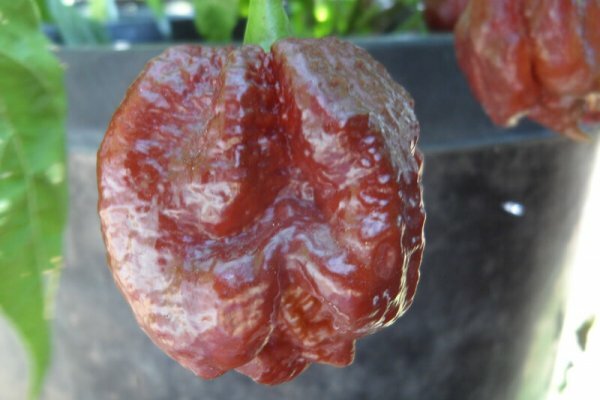 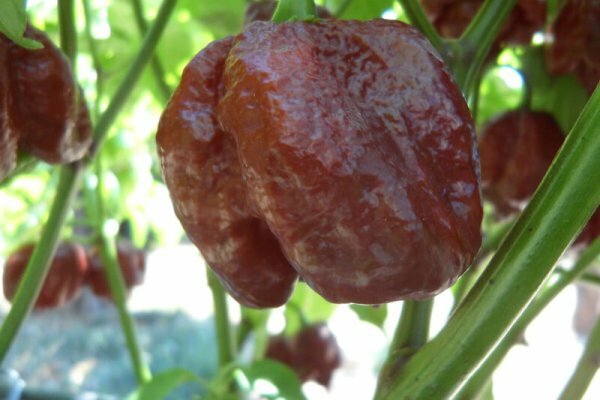 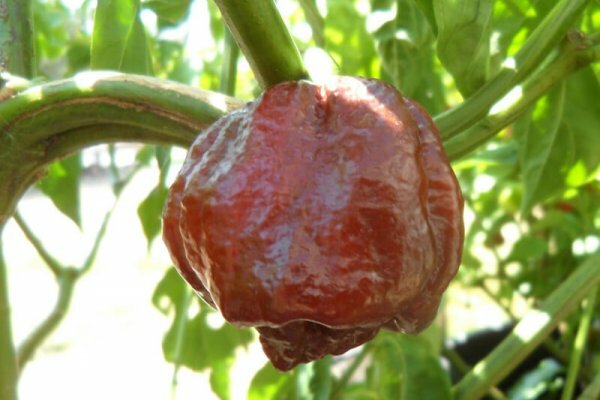 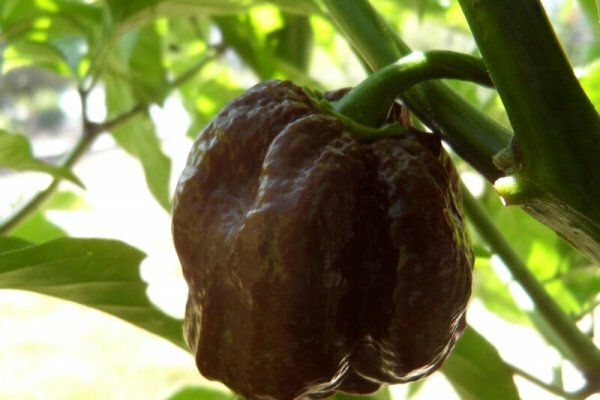 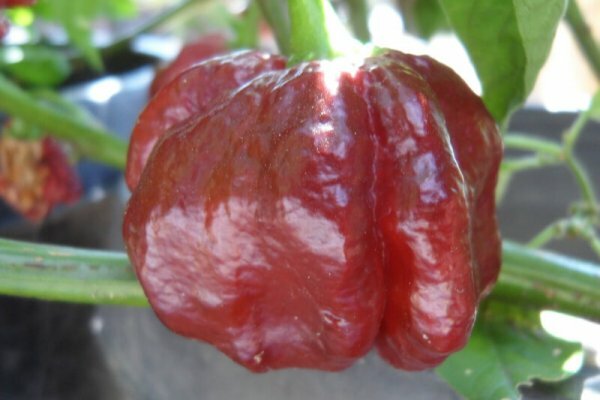 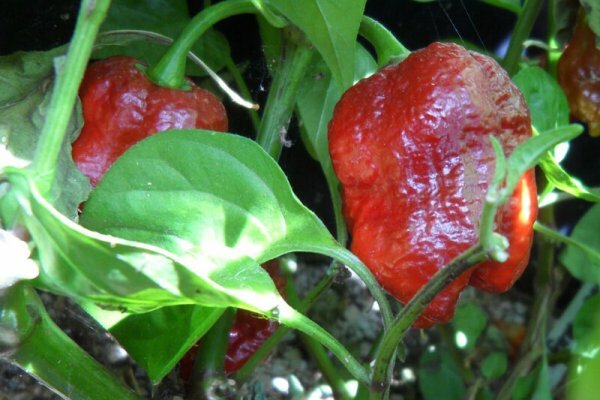 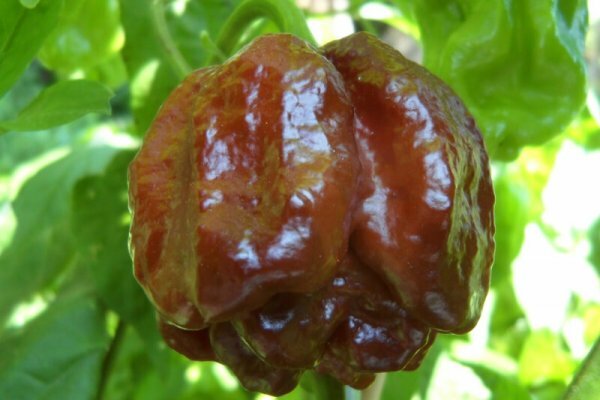 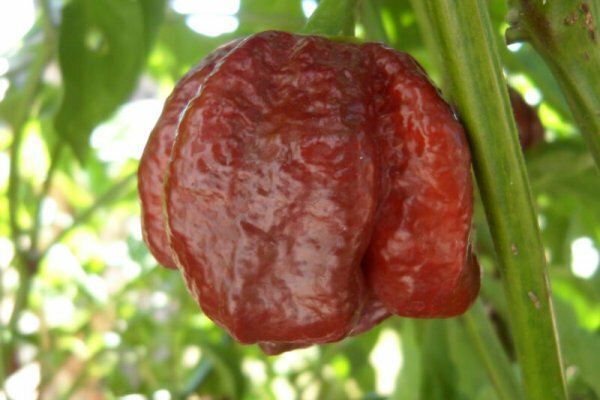 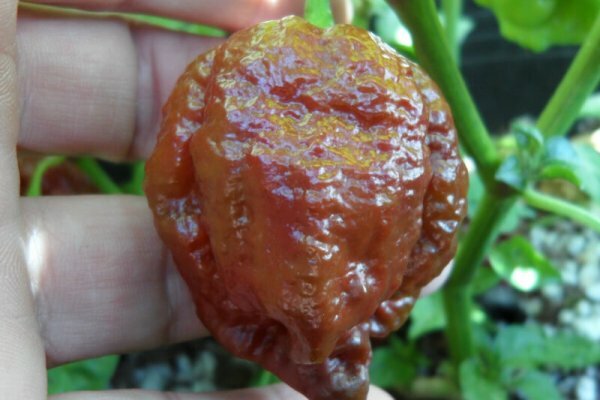 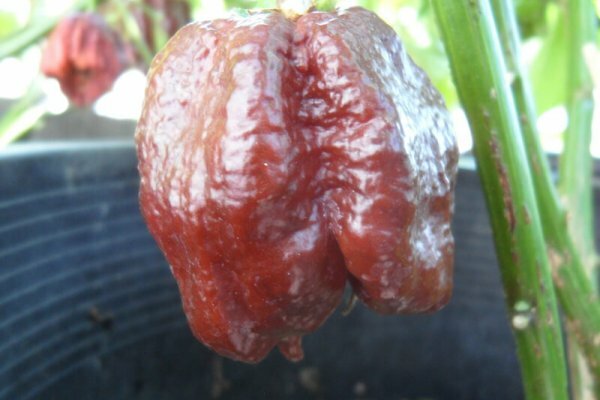 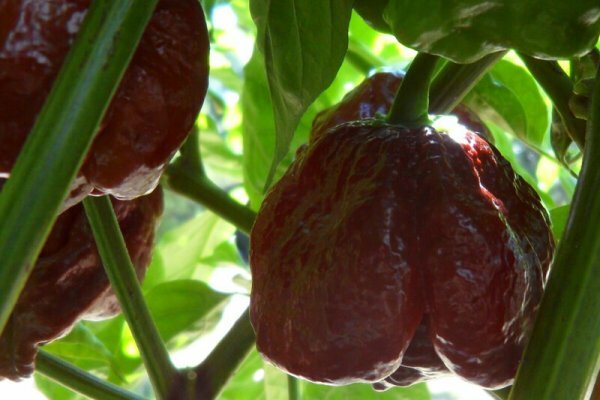 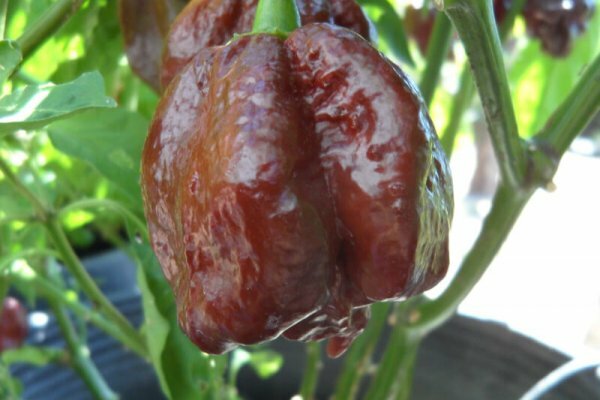 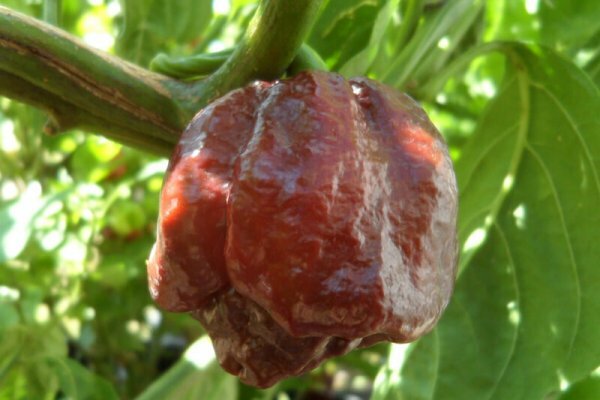 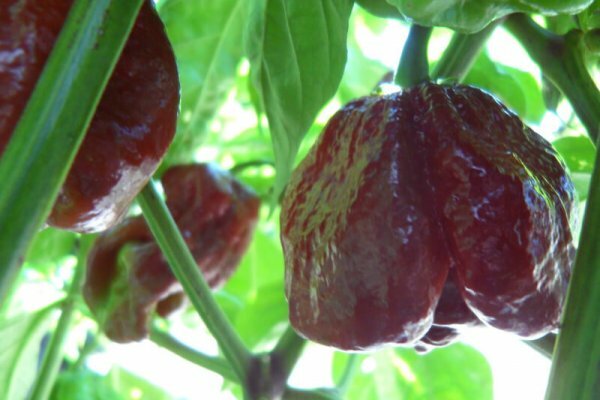 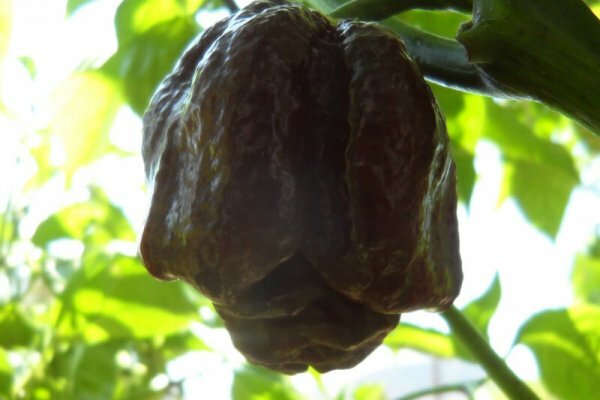 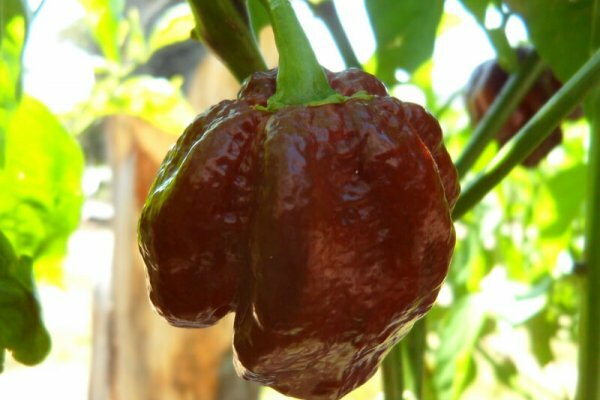 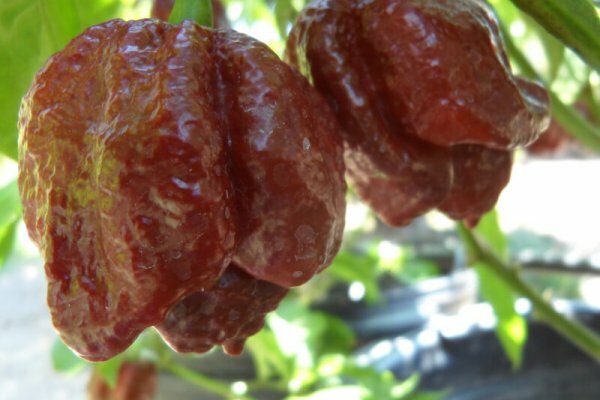 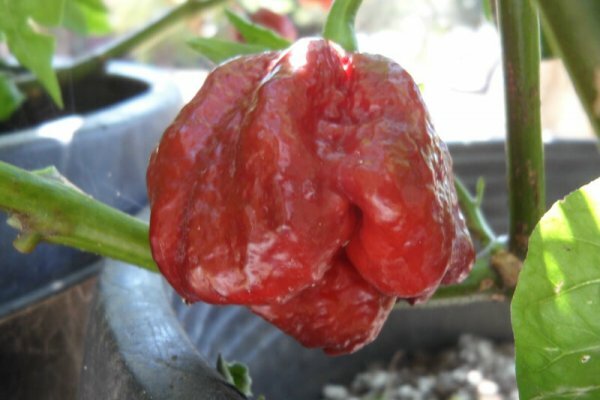 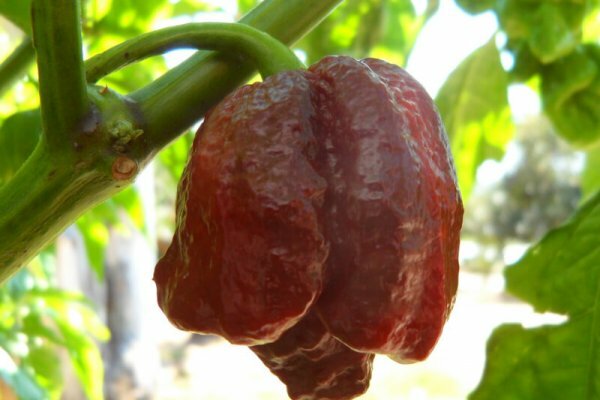 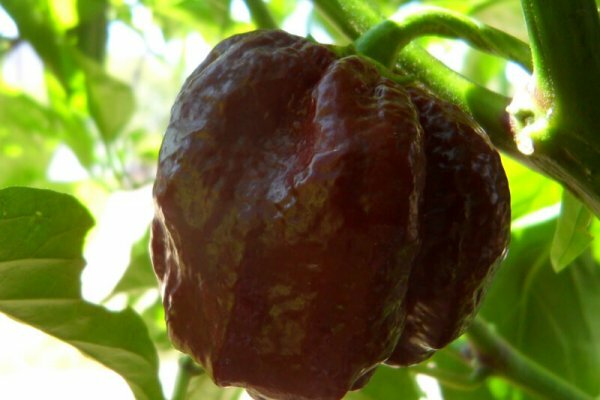 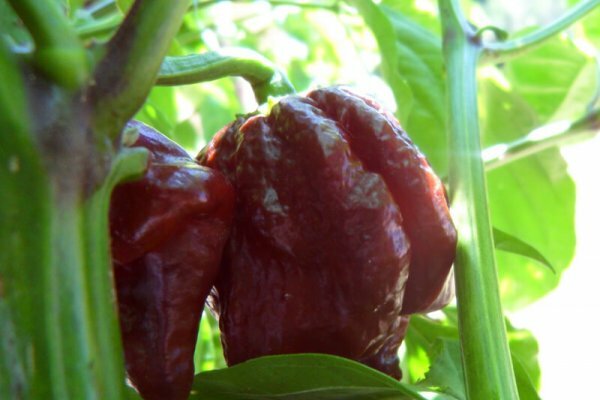 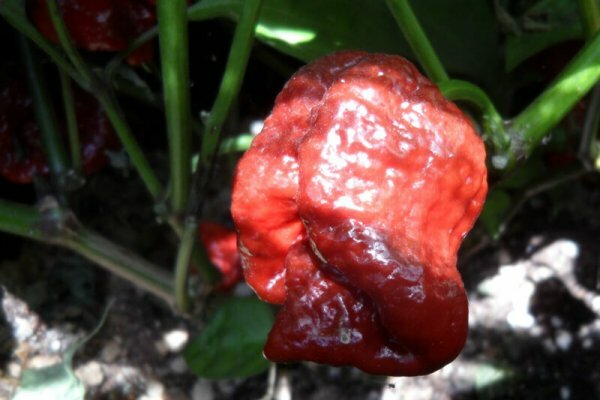 The Trinidad Chocolate Scorpion is the natural chocolate colored variant of the red Trinidad Scorpion. 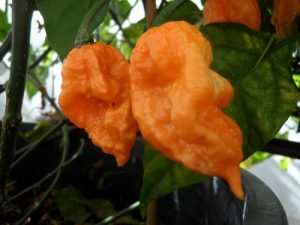 The red versions of the Trinidad Scorpion tend to have more of a biting flavor and some say slightly acidic. 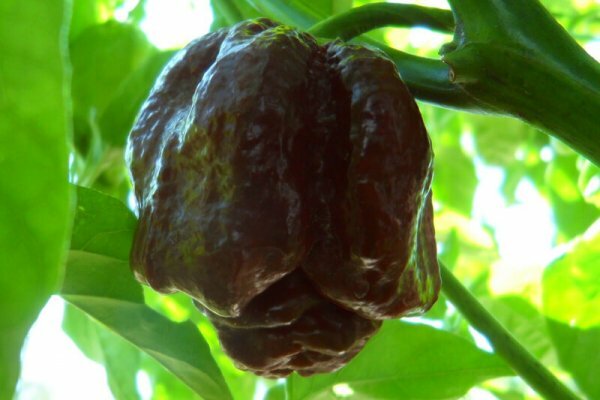 But the Chocolate Scorpion is smoother with more sweetness. 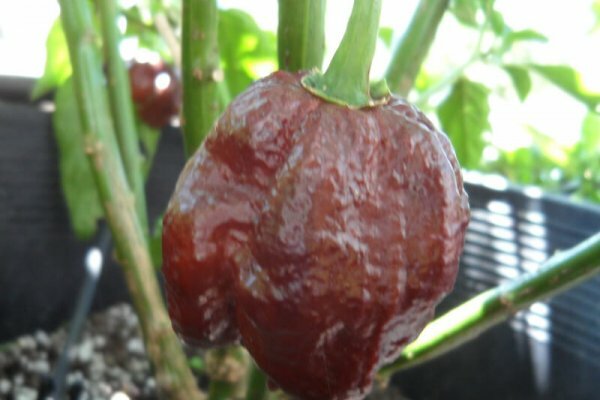 The Trinidad Chocolate Scorpion chile plants get very tall but do not produce a large quantity of peppers. 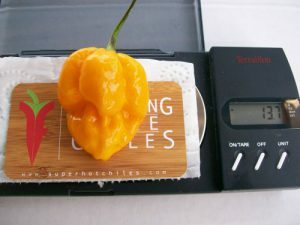 However they do produce very large pods weighing as much as 18 grams or more. 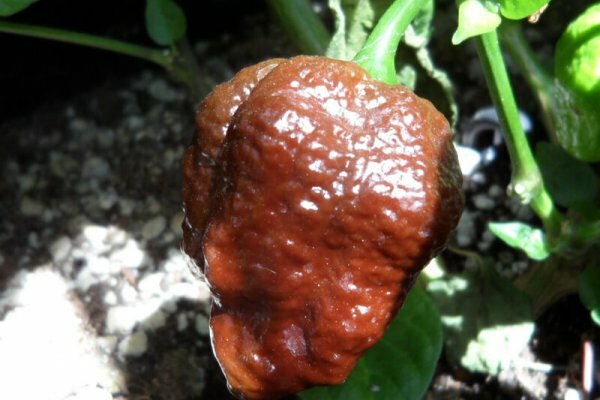 The pepper pods like other Scorpions have a bonnet like look to them and are very twisted and lumpy. 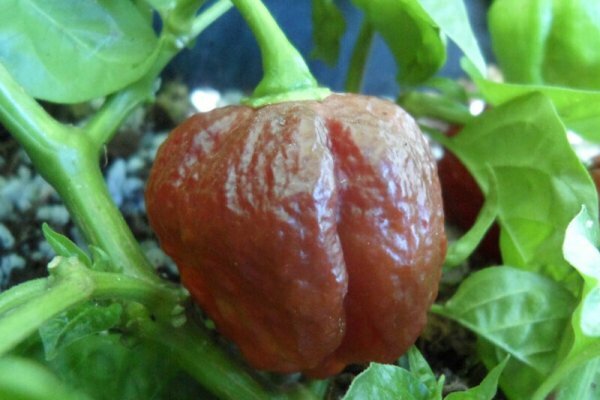 Some will grow skinny tails but not as much as other Scorpion chile types. 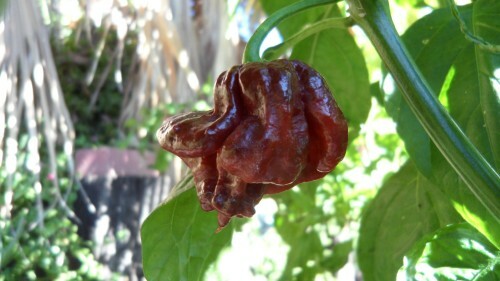 The heat level is very high and may be as hot as the Butch T Scorpion depending on growing conditions.